Graal-Müritz is a Seeheilbad (seaside health resort) in the German state of Mecklenburg-Vorpommern. It is located in the Rostock district, near Rostock, Ribnitz-Damgarten and Stralsund. 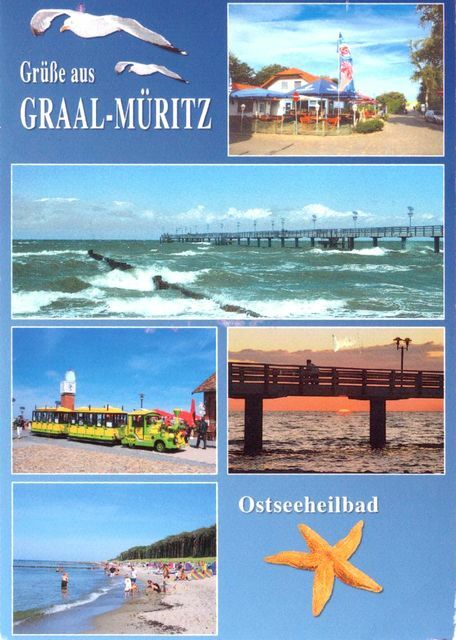 Graal-Müritz is among the most popular German destinations for tourism and health cures alike. It borders both theBaltic Sea and a large forest called Rostock Heath. The town offers many hotels, restaurants, a great 5 km beach, a spacious public Rhododendron Park and a well-being and fitness centre.